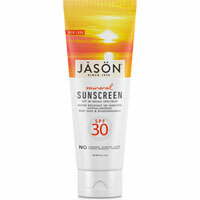 Sunblocks for total sun protection for all the family. 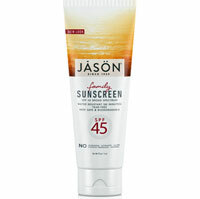 Higher SPF levels in photo stable formula. 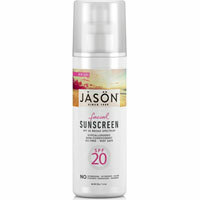 Your whole family can fall in love with the sun again with new JASON Sunblock Sun Care collection, which now provides a broader spectrum of UVA/UVB protection and higher sun protection factors. Each formula is specifically designed for individual skincare needs  from a gentle, tearfree and sweat-proof formula providing protection for children to adults including athletes  made with natural antioxidants from extracts of Açaí, Grape Seed and Green Tea to protect skin from sunburn and reduce harmful free radical damage. Each skin-loving product is formulated to be fast-absorbing and incorporates gentle, natural botanicals to soothe and moisturise as well as active ingredients to reduce skin exposure to the sun.